White Forsythia, Spring 2012. - Welcome to The City of Desire. "I'm ready for my close-up! ", a photo by Leenechan on Flickr. We've had this shrub for years, and it never looked good enough to photograph until today. 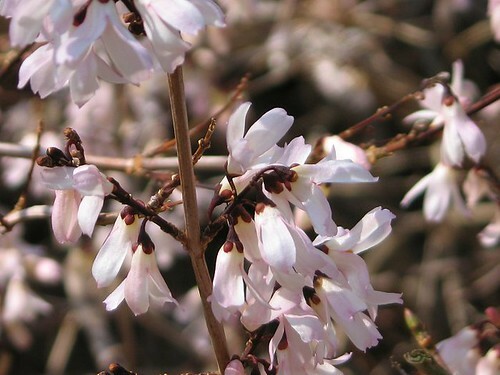 I'm not sure why it's called "white forsythia" when it's pink, not white! I'm pretty sure it's not a true forsythia, either. I think it's Korean. It repeat-bloomed last fall, which was pretty interesting.